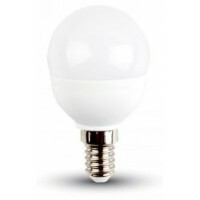 This is a small and compact retrofit LED Golf Ball Globe shaped lamp by Duracell with a Small Bayonet cap / base and provides a warm white / 827 / 2700K light. 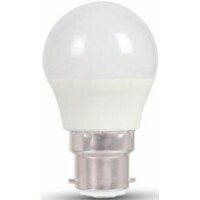 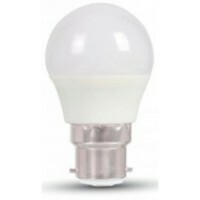 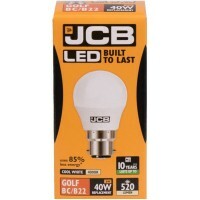 NB: These 4W LED golf ball (G45) shaped light bulbs are not suitable for dimming, touch sensor or digital switches as this can damage the lamps and can cause buzzing (this is the same for all LED lamps). 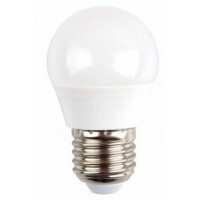 Keep away from direct sunlight and high temperature and do not use in a recessed or enclosed fitting. 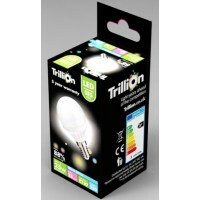 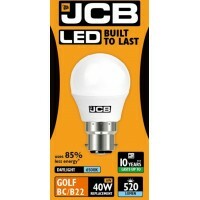 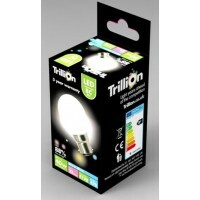 3W (25W) LED Golf Ball Bayonet / BC Light Bulb in Daylight White 6400K This is a small and compa..